It is undeniable that we are living in the digital age. The Internet is teeming with information about pretty much anything and everything you can imagine. Frankly, it can be a bit shocking what you may stumble across if you randomly surf and click. But, you don’t even have to be seated in front of a computer to access such information or conduct most affairs anymore, whether for business or pleasure. Because technology is completely mobile these days, simply walking down the street is like playing a game of Frogger, except you aren’t dodging floating logs. Rather, you must carefully navigate the endless stream of people who have their heads down, eyes glued to a high-tech device of some sort as they click, search, and connect. Work matters and your social life are always at your fingertips, both a positive and a negative no doubt. Most of us would be crippled without our handheld technology, or at least feel utterly lost and disconnected. Of course, one of the primary concerns with all of this information sharing is ensuring that certain items are transmitted securely. No one wants personal, sensitive, or confidential documents, photos, and whatnot to end up somewhere they never intended for it to be. And, this is particularly true for businesses. The very existence of many companies depends, in large part, on keeping their IP and other confidential matters protected from public view. Unfortunately, a surprising number of individuals continue to assume (erroneously) that attaching and sending documents via email is a safe and secure manner of transmission. Although this may be acceptable for sharing general files, anything of value probably shouldn’t be sent this way. It is becoming frighteningly easy for savvy hackers to intercept messages and even take over email accounts. Not to mention the potential risk for exposure through lost and stolen mobile phones. Many people have their email accounts accessible and logged-in on their mobile devices. If the device gets lost, all information on it is compromised. Thus, law firms that have a strict duty of confidentiality with respect to client matters, life science companies that depend on their unique research and development, and investment banks that are privy to all sorts of confidential information during various transactions simply cannot afford to share sensitive information unless the network they are utilizing is completely secured and routinely monitored. Plus, since a number of individuals spread across vast swaths of the country must view the documents and files relating to such matters, it is imperative that companies employ efficient and secure document sharing. 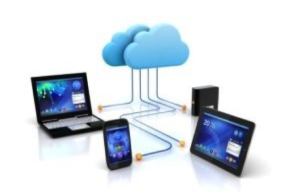 In general, cloud-based applications are becoming the norm when it comes to file sharing because they allow individuals to access files from any location at any time, a necessity in a society that is constantly on the go. Fortunately, virtual data rooms utilize the most sophisticated technology available to ensure that documents are securely stored and shared.